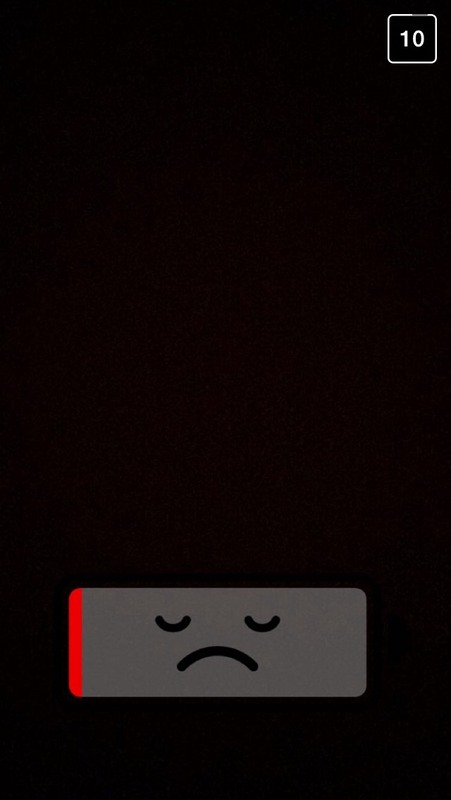 Will You Use the Snapchat Battery Filters? Double tap the screen while recording a Snap to switch between the selfie and rear-facing cameras! Login Verification — when you log in to Snapchat on a new device, we can send you a SMS code to make sure it’s you! Turn on this feature in Settings. The battery filters and the double tap on the screen to switch from a rear facing to a front facing camera will likely be the most used. I tried out the double tap feature and it works very well. I had 86% battery on my iPhone 5s and there was no battery filter. I would imagine the batter filters will be available when you are at 100% or 95%+ and lower than 20%. I will try them out over the next 24 hours and post some screenshots. I tried out the battery filter and found out that anything above 95% allows you to use the filters. I am going to try to drain my battery and see how low it has to get to use the low battery filter. 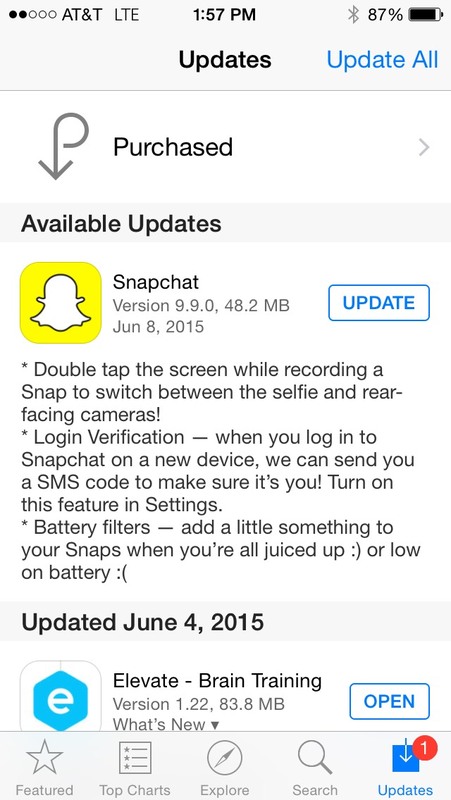 Have you downloaded the newest version of Snapchat? What do you think? My phone is at 17% and there is still not a battery percentage filter. I’ve had the update too and it’s still not there. When will we be able to see it? I updated the app and tried the new video feature and the battery percentage filter and neither of them work. wondering when this will be fixed? I got the iPhone 5c and I updated snapchat and I can flip the camera both ways while recording a video but I can’t get the battery filter to work. Help? 7% and battery filter not working. Why can’t there just be a filter regardless!? No matter what the percent is! Because I am on 45% as I type this! I don’t understand the filter situation though. So you take a picture and if you are above 95 or lower than 10 you get more filters?? The battery percentage thing does not show up until your percentage is 10% or lower / 95-100%. Please dont ve dtupid and actually read the full article before you start jumping to conclusions about the update. Thank you. The percent filter works of you have the battery above 95%(Green).. The red works if you have the percent at 10% or lower. Well ya see. iPods or at least my iPod dies when it reaches 10 percent so other than fully charged the filter will not work.nkind of useless. Battery icon for all percents. None of the new things from the update are working on my iPod, and I left my battery until it turned off it still didn’t work? Come on guys! Read the article! 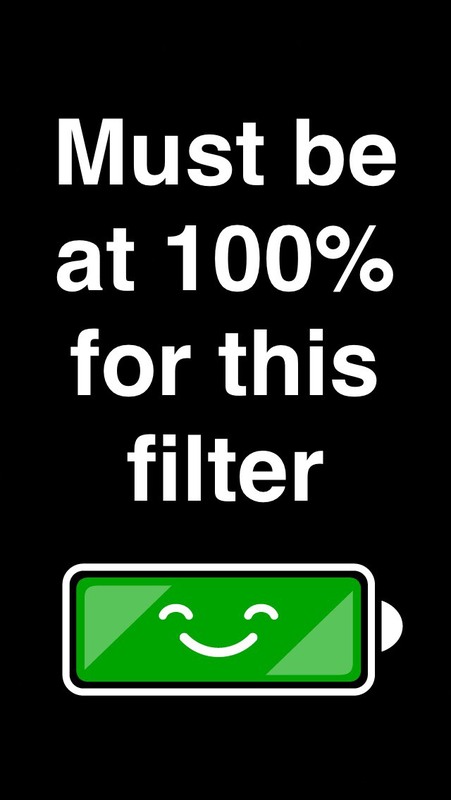 The battery filter only works if you’re above 95% and below 10%! God, please read the whole article! My phone is on 100% and the filters aren’t working and also herb I get to even 3% my filters arent working? I have an iPhone5c! How do I fix this? Okay my phones at 100 and it won’t work also geotags don’t work even if I’m in the location ?? I wish that rather than making these battery filters that they reduced the battery usage of the app, it is the biggest battery hog on my phone. Guys for those of you who find that the battery filter is not working, be sure to make sure location services is turned on. If it is not turned on in your settings for this app, the filters will not work ! Me either! It’s not letting me flip while I record, and I also have an iPod 5! My snapchat doesn’t even have the update. iPhone 5c last available update was July 1st, and I’ve restarted my phone twice.